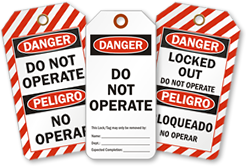 Danger OSHA Group Lockout Tag identifies all the people involved in a group lockout procedure. 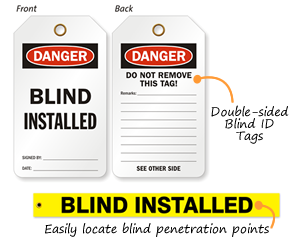 • Tag prevents accidental operation of an energized device. • Spaces are available for each worker to sign on and off. 15 mil thick plastic vinyl. Digitally printed with UV-resistant inks to avoid fading. Includes hole with reinforced metal eyelet. Write on surface with pen or permanent marker. Digitally printed with UV-resistant inks to avoid fading. Includes hole with reinforced metal grommet for durability. 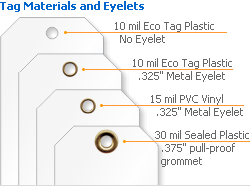 10 mil thick plastic polymers. 10 mil thick plastic-wood pulp blend. 10 mil thick, plastic polymer-wood pulp blend. Flexible material. Won't disintegrate easily. 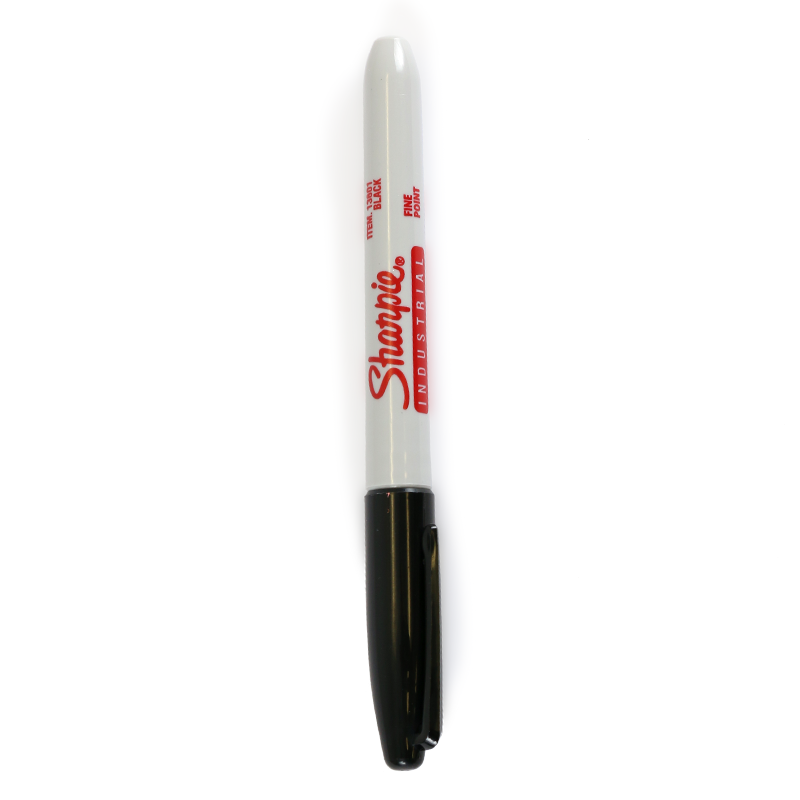 Write on scuff-resistant, matte surface with a pen or marker.